Trichocereus validus, also known as Echinopsis valida, is a columnar cactus that´s closely related to Trichocereus terscheckii. I consider it a form, variety or subspecies of Echinopsis terscheckii. Which one´s exactly the case will have to be decided by DNA testing . Trichocereus validus grows like a tree and can get up to 40 centimeters in diameter. 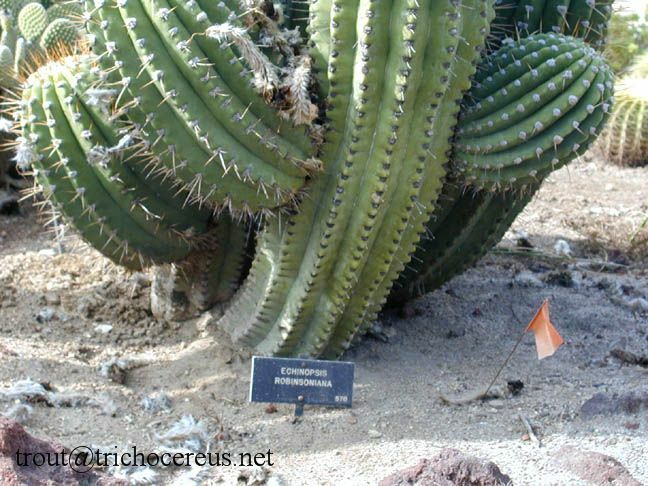 It doesnt get quite as thick as Trichocereus terscheckii, which is a close relative of it. 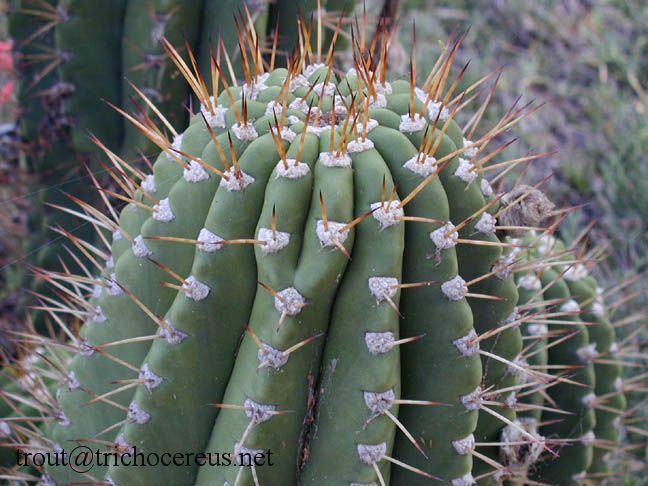 The origin of Trichocereus validus is not know, was but it was probably Bolivia. In Bolivia, there are various Andean Trichocereus species from the Trichocereus terscheckii complex that this species could have come from. There´s populations of Trichocereus werdermannianus and Trichocereus tacaquirensis, which are both very similar in appearance. My personal impression is that Trichocereus validus is just one particular type of Trichocereus terscheckii. 10-12. Older specimens have a higher rib count, which is pretty typical. 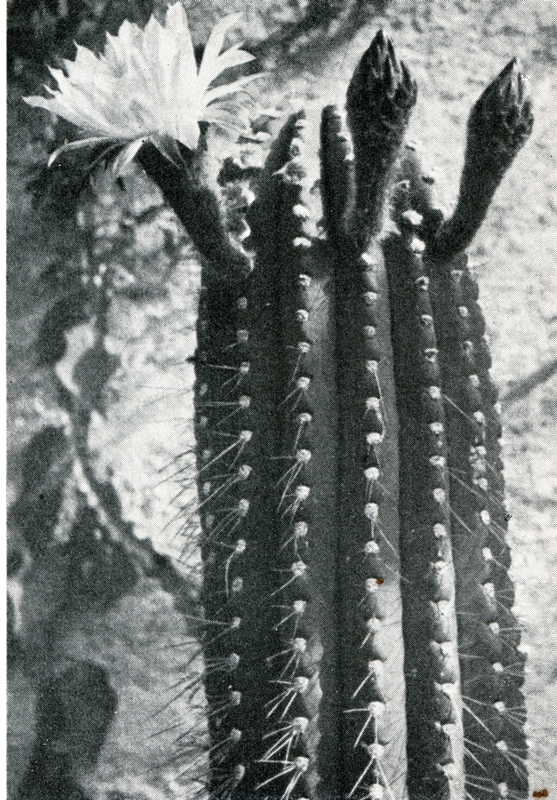 There are very little spines around the upper half of the body, what makes it look like a nearly spineless version of Trichocereus terscheckii. The areoles are 2,5 – 3,5 centimeters apart of each other. 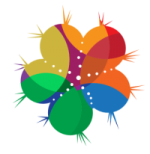 5-10 radial spines that are up to 4 centimeters long with a very typical outwards pointing spine, which is actually the lowest on the areole. 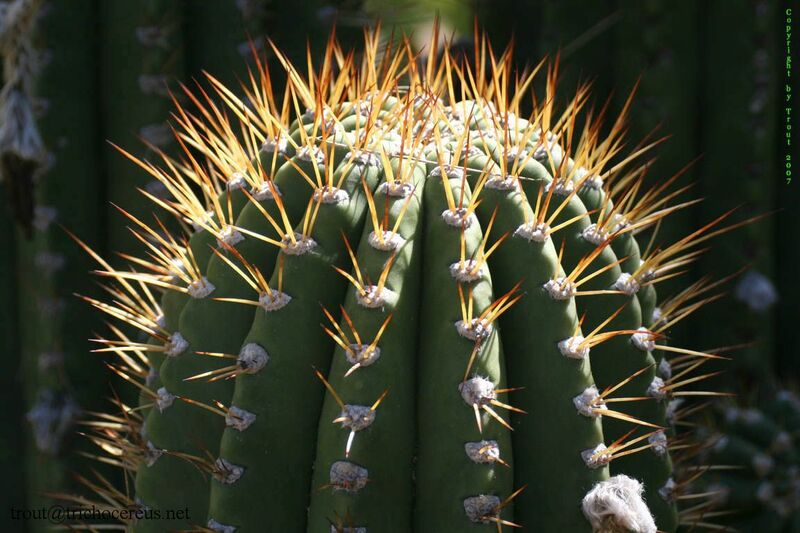 In addition, Trichocereus Validus has approximately 1-2 middle spines. 5-10 centimeters long. Spines have a very small but visible rounded spine base. The spine color is yellow, similar to the one on Trichocereus Terscheckii. White. 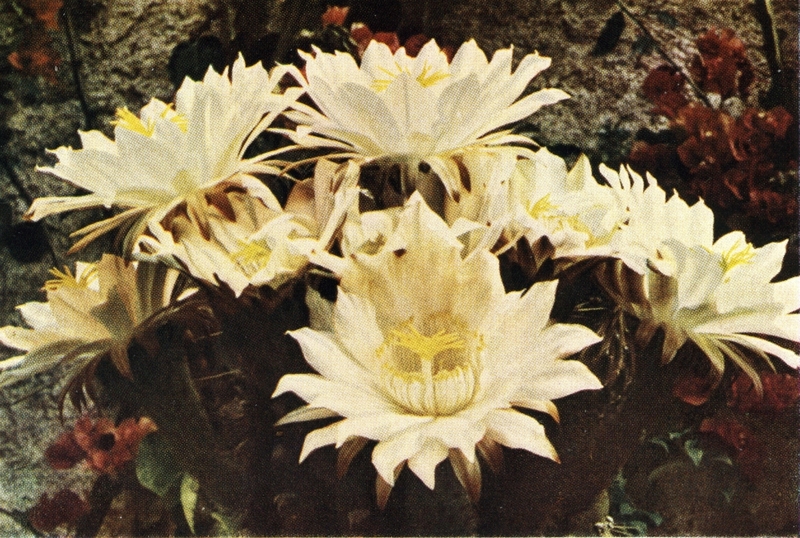 Similar to Trichocereus terscheckii and between 10-15 centimeters long and up to 15 centimeters in diameter. Gray-brown hairs on the flower and white petals. Round fruit with wool & hairs on top of it. The original description of Trichoecreus validus was written after a bad photo, and there was no flower photo or description originally. However, a flower description could be made eventually after a plant that grew in the Botanical Garden in De Cedres and the photos we saw did show a very close relative of Trichocereus terscheckii. While it has pretty unique spination, it´s still pretty obvious that the plant was some variety of Trichocereus terscheckii. I am very proud that some of the members from our SAB forum were able to relocate this long lost plant in Australia and make it somewhat available. 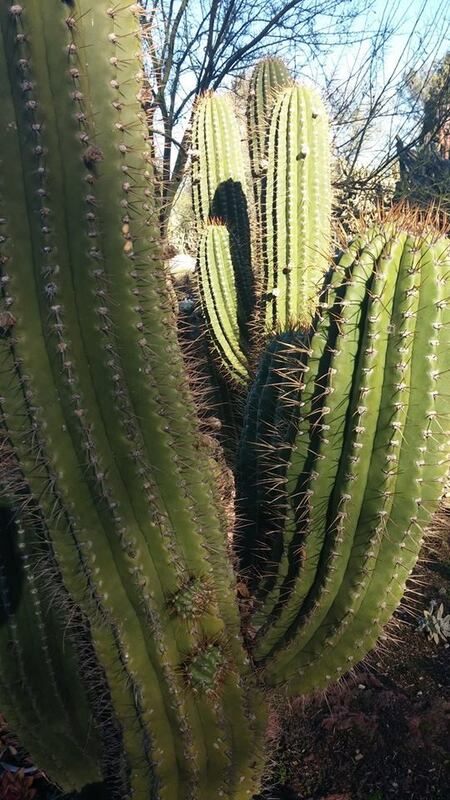 There were a few growers that received cuttings of this remarkable plant and we sometimes have cuttings available in our Trichocereus Facebook Group. 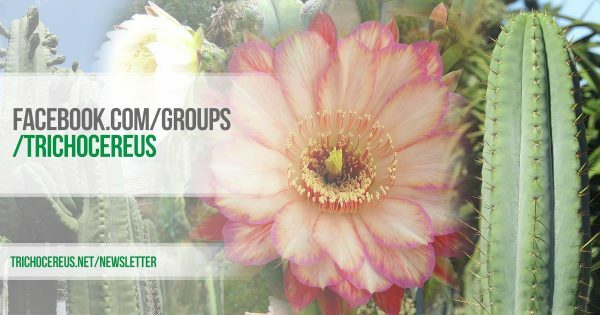 Another breeder who offers some seeds of Trichocereus validus is Misplant.net! 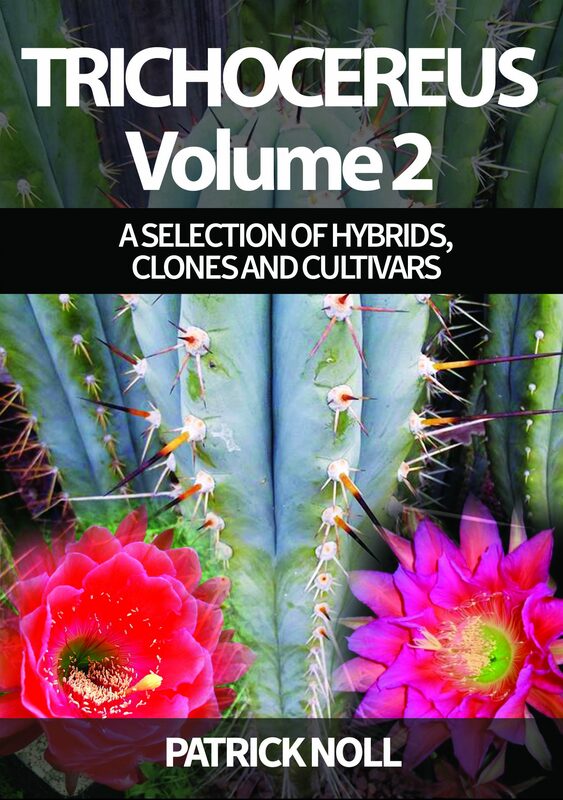 He has a plant that roughly belongs to the same complex, but which isn´t quite the same mother plant to make a couple crosses every year and you can buy seed through his Seed store on Misplant! Misplant´s Trichocereus validus belongs somewhere in the relationship of it and Trichocereus uyupampensis, another rare Trichocereus that is considered (by some) to be synonymous with Trichocereus validus. Whether or not this is the case is currently not clear. In Australia, this plant was made available through the Fields Family and collection, who owned two large mother plants before the collection was donated to the Melbourne Botanical Garden. In addition, you can get seeds of Trichocereus validus from Sacred Succulents but I haven’t seen their mother plant yet. I will add new sources for this plant in this article but at the moment, I do not know more. Trichocereus validus is very similar to Trichocereus terscheckii and everything I wrote about the cultivation of it applies here too. These large Andean giants can take slight night frosts, but it should not go over -5° to -7° Celsius or it will get dangerous. The plants need to be dry and the average minimum temperature should be around 10° Celsius during the cold winter months. 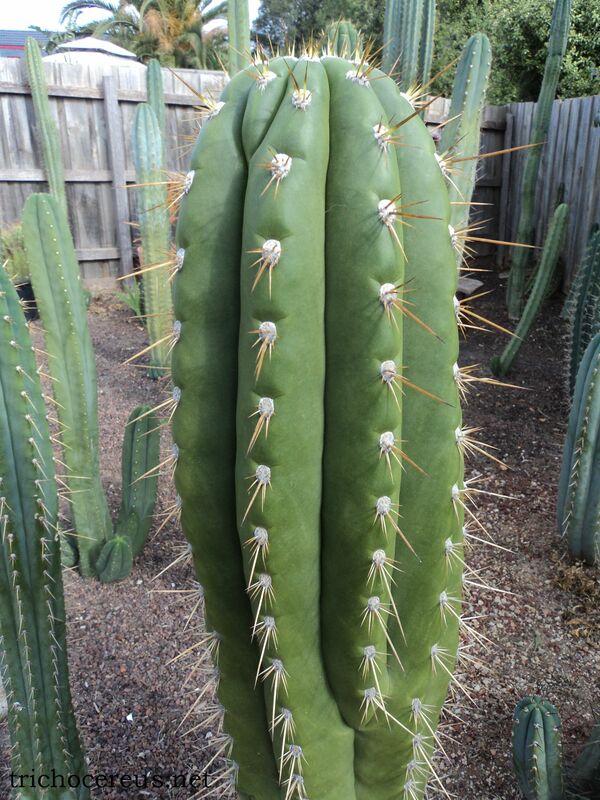 Trichocereus validus is extremely thick and it needs a large, deep pot if you ever want to see it flowering. 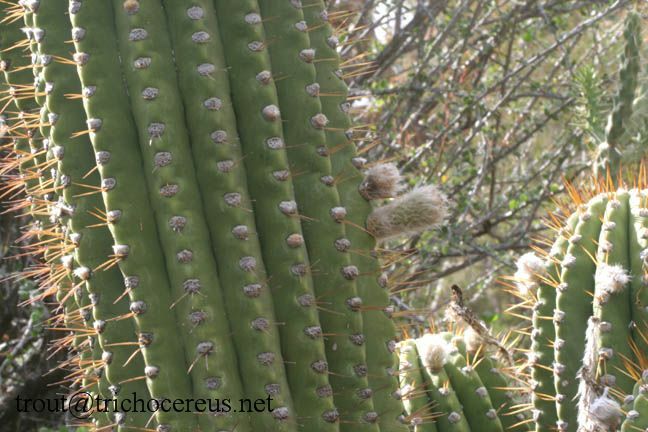 The Plant here was found on ebay and has many similarities to Trichocereus Validus. Chances are, it´s just some Terscheckii with a similar Spination. But since Trichocereus Validus is most likely nothing else than some Terscheckii Variety it´s not really possible to clear this up. Now the next Plant is really interesting. It is what many growers call the FIELDS Validus. It grows on a private property in Australia and the Owner originally bought some Seeds of Friedrich Ritters Collection of Trichocereus Validus and grow it out into a gigantic Monster of Awesomeness! The Plant is identical with the Plant shown in Backebergs Cactaceae and IS most likely the Terscheckii Variety that is known as Trichocereus Validus. 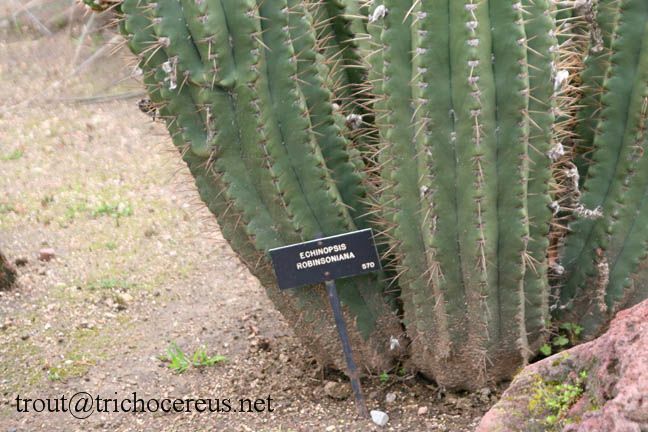 This Plant grows in the Huntington Botanical Garden and is labeled Echinopsis Robinsoniana . It is actually the plant that came to fame as Trichocereus Validus. It´s probably a variety of Trichocereus Terscheckii and chances are that there are seeds labeled as that available on the market. So whenever you encounter Echinopsis Robinsoniana or Terscheckii varieties from Bolivia, it might be the plant that was once called Trichocereus Validus. I am beyond doubt that Trichocereus Validus didn´t suddenly cease to exist in cultivation but simply carries another label these days. This Plant is labelled Echinopsis robinsoniana and looks very much look the Trichocereus validus pictured in Backebergs CACTACEAE. Personally, I am absolutely sure that Echinopsis robinsoniana is just a synonym for Trichocereus validus. 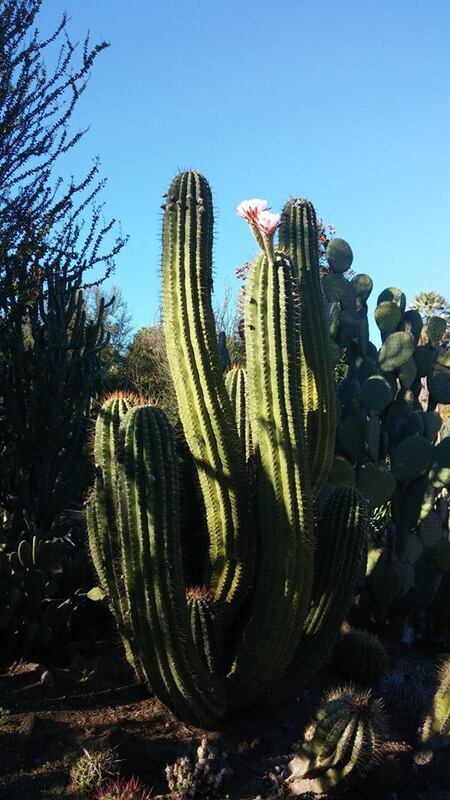 This plant grows in the Huntington Botanical Garden, but this species has not been found outside the Botanical Garden and most plants that are found in the wild are identified as Trichocereus terscheckii or one of its associated species. 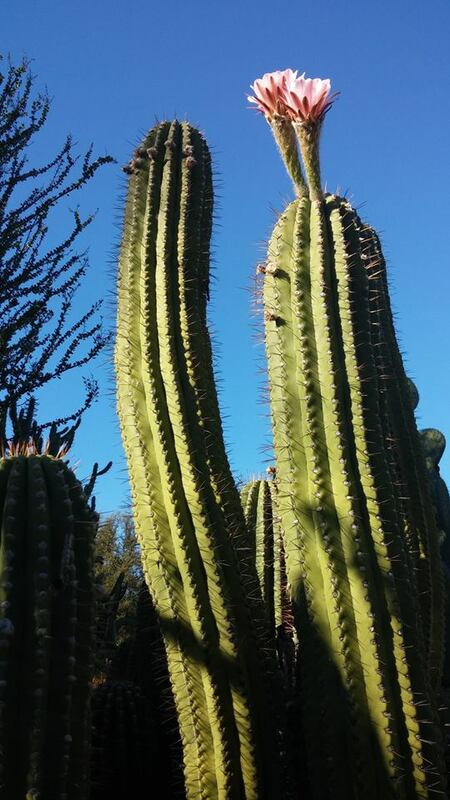 It is definitely possible to come across this plant on the botanical market, labeled as Trichocereus terscheckii, Trichocereus werdermannianus, trichocereus validus etc. There are countless forms and intermediates that belong to this complex and there is a great amount of variety within the large Andean Trichocereus species. Trichocereus pasacana is another closely related species.